Amazon.com now has The Black Series Six Inch Wave 8 listed in stock. Click below for direct links! A Big thanks to JTA reader Ryan for alerting us to this! XM Studios just announced a new line of 1/4 scale premium statues. That's all the preview they've released, so stay tuned for more details. Thanks FLYGUY for the heads-up! FlashBack Review: Jabba's Rancor (With Luke Skywalker) - TLC - TARGET Ex. Wave 7 continues to show up across the U.S. This time JTA reader picks them up at a TRU in Atlanta. Click through for images. We're almost done looking at the figures that made up the biggest surprise of 2015. Let's check out FA-4 (Count Dooku's Pilot Droid) as a Build A Droid instead of a basic figure in the Legacy Collection  line. This character is the focus of our Research Droids Reviews today.. Be sure to leave your own thoughts in our comments section, vote in the poll or even leave comments about it on our Facebook page. Click the banner below for the direct link to the review! As always, you can also send your own personal review requests via email if you'd like to see something that we didn't cover yet. The biggest surprise of 2015 is the release of what we all thought was a cancelled Star Wars basic figure line. We will be looking at the figures from the Legacy Collection  line. We're almost done, so let's continue with TIE Fighter Pilot who not only got different packaging but also a name change but yet the same droid part as the Amazon.com exclusive! See it all in our Research Droids Reviews today.. Be sure to leave your own thoughts in our comments section, vote in the poll or even leave comments about it on our Facebook page. Click the banner below for the direct link to the review! As always, you can also send your own personal review requests via email if you'd like to see something that we didn't cover yet. The biggest surprise of 2015 is the release of what we all thought was a cancelled Star Wars basic figure line. We will be looking at the figures from the Legacy Collection  line. Let's continue with the Sun Fac which is a sadly overlooked figure that just doesn't get enough credit. Check this Separatist out in the way he was originally meant to arrive in our Research Droids Reviews today.. Be sure to leave your own thoughts in our comments section, vote in the poll or even leave comments about it on our Facebook page. Click the banner below for the direct link to the review! As always, you can also send your own personal review requests via email if you'd like to see something that we didn't cover yet. Found! Wave 9 of The Black Series 6" line has been found in the Philippines. It's only a matter of time until the USA starts seeing these figures. Special thanks to JTA Facebook reader Jaeger Trooper Eityeiteity‎ for the image. More The Black Series 6" Finds Of Emperor Palpatine Wave! More new TBS6 figure finds! JTA reader Adam H. sends in his store report of the new The Black Series 6" Emperor Palpatine wave from Missouri on our Facebook page! I wish I had the energy to go and look for these myself, but this line will just have to wait. The biggest surprise of 2015 is the release of what we all thought was a cancelled Star Wars basic figure line. We will be looking at the figures from the Legacy Collection  line. Let's continue with the Sandtrooper which is a very nice action figure. See the way this trooper was originally meant to arrive in our Research Droids Reviews today.. Be sure to leave your own thoughts in our comments section, vote in the poll or even leave comments about it on our Facebook page. Click the banner below for the direct link to the review! As always, you can also send your own personal review requests via email if you'd like to see something that we didn't cover yet. Big Bad Toy Store posts their latest newsletter. Click through for the full rundown of new pre-orders and new arrivals. First Order Stormtrooper 6" Figure Hits eBay! Last night during dreamland, eBay seller viperskingdom put up the First Order Stormtrooper 6" figure on eBay. It has sold out but we have pulled the images off of eBay for you to gaze upon because this is one cool action figure. Special thanks to our friends at the Wolfpack Podcast for the heads up as well as JTA readers Bryan, Jeremy and Ryan G. for the email alerts! The biggest surprise of 2015 is the release of what we all thought was a cancelled Star Wars basic figure line. We will be looking at the figures from the Legacy Collection  line. Let's continue with the Battle Droid which is not as great as many believe it is. See the way this droid was originally meant to arrive in our Research Droids Reviews today.. Be sure to leave your own thoughts in our comments section, vote in the poll or even leave comments about it on our Facebook page. Click the banner below for the direct link to the review! As always, you can also send your own personal review requests via email if you'd like to see something that we didn't cover yet. Found! JTA reader Mike R. found the Han Solo And Tauntaun TBS6 set for less than its prescribed MSRP at TARGET in North Carolina for $24.99! The biggest surprise of 2015 is the release of what we all thought was a cancelled Star Wars basic figure line. We will be looking at the figures from the Legacy Collection line. It's now time to check out the 212th Battalion Clone Trooper which is another great figure overlooked by many. See the way he was originally meant to arrive in our Research Droids Reviews today.. Be sure to leave your own thoughts in our comments section, vote in the poll or even leave comments about it on our Facebook page. Click the banner below for the direct link to the review! As always, you can also send your own personal review requests via email if you'd like to see something that we didn't cover yet. Happy Anniversaries To Episode IV And Episode VI! Happy 38th anniversary to Star Wars Episode IV: A New Hope and happy 32nd anniversary to Star Wars Episode VI: Return Of The Jedi today! It's hard to believe so much time has passed since these films were released. Share your thoughts in our comments!. We wish all of our readers a very happy Memorial Day. Never forget those who have served us by protecting our many freedoms. The Black Series [Phase II] Stormtrooper may divide the community on whether it's an improvement over past releases or not, but we think if you can find one with a good paint job that it will be the best modern Stormtrooper money can buy. Learn more in our Research Droids Reviews today. Be sure to leave your own thoughts in our comments section, vote in the poll or even leave comments about it on our Facebook page. Click the banner below for the direct link to the review! As always, you can also send your own personal review requests via email if you'd like to see something that we didn't cover yet. Our friends at BanthaSkull.com have posted a very well put together article showing the undeniable passion Star Wars collectors have for The Vintage Collection. The points to take away from this article are numerous, but you should definitely not assume that any of us think e-scalping is OK. This is what WE are paying for these neo classic action figures because we want them, not because we want to pay these prices. It's time to be done with The Black Series 3.75" nonsense and get back to what all of us love the most. Hasbro has confirmed that the 6" line is doing well (and that may be true from a certain point of view), but you can find 95% of them online somewhere for less than their normal MSRP. Yet, some of The Vintage Collection'c biggest peg-warmers (TIE Fighter Pilot repack anyone?) are commanding high values today on eBay. Check out their article. The Black Series Finally Hits My Local TARGET! Figures that should have been in stores around September 2014 have JUST begun hitting my local TARGET in piece meal. Approaching a year from their originally intended release date, my local brick and mortar had Darth Malgus and Darth Vader from The Black Series [Phase II] 3.75" line. Shocking! I don't know whether to be happy or irritated. It's so confusing! It's almost the unofficial beginning of summertime and Walmart still appears to be getting wave 1 of the Rebels line. I found actually MULTIPLES of Agent Kallus and Ezra and Kanan figures (all first version card backs). Obvioulsy the Choppers were long gone. But it may be worth to check your local store to see if they're getting this "age old" case assortments too. What a mess! Research Droids Reviews is six (6) years old today!! If you have been with us since May 24, 2009, you have seen a new review here every single day. The biggest surprise of 2015 is the release of what we all thought was a cancelled Star Wars basic figure line. We will be looking at the figures from the Legacy Collection  line. It's now time to check out Biker Scout which is another great figure overlooked by many. See the way he was originally meant to arrive in our Research Droids Reviews today. Be sure to leave your own thoughts in our comments section, vote in the poll or even leave comments about it on our Facebook page. Click the banner below for the direct link to the review! As always, you can also send your own personal review requests via email if you'd like to see something that we didn't cover yet. The biggest surprise of 2015 is the release of what we all thought was a cancelled Star Wars basic figure line. We will be looking at the figures from the Legacy Collection  line. It's now time to check out Luminara Unduli and she has the same issues the TBS figure does. See the way she was originally meant to arrive in our Research Droids Reviews today. Be sure to leave your own thoughts in our comments section, vote in the poll or even leave comments about it on our Facebook page. Click the banner below for the direct link to the review! As always, you can also send your own personal review requests via email if you'd like to see something that we didn't cover yet. New The Clone Wars episodes! That’s right, The Clone Wars fans we're finally able to see the long rumored Bad Batch story arc, just with unfinished animation. Recently starwars.com released the entire Bad Batch story arc that was screened at Celebration Anaheim. SPOILERS AHEAD! Hasbro Toy Shop has a few new figures from wave 7 of The Black Series line. Not all are in stock. Use code MEMORIAL15 to get 15% off your order over $50. Special thanks to JTA reader Mike F. for the alert! Hot Collectibles In Stock At Robotkingdom.com! JTA reader Jean C. alerts us to some cool finds on retailer Robotkingdom.com. They have the TVC Landspeeder in stock for $24.99 and also have the SDCC exclusive TBS6 Boba Fett (and Han Solo in Carbonite) as well. Click through for more. Note: This is a foreign retailer so shipping rates will vary greatly depending upon where you live. It's time for a new adventure in the story of Rykrof Enloe... read through, and please be sure to let our friends at Yakface.com know your thoughts! If you missed out on initial store arrivals, or that surprising calendars.com online case availability, the good news is that stores are still getting new cases to replenish sold out store stock. We won't presume to know the level of rarity these figures are, but if you want them you may want to act now before they are gone forever. Special thanks to Matt V. for the news and images. Also of note, Toys R Us stores are now getting the Hera Syndulla/Stormtrooper Commander wave of Mission Series figures in stock for $9.99 each too. We have a report from Sjefke in MD and I also saw them in NJ yesterday and today. More Toys R Us TBS 3.75" Wave 7: New England Gets Them! We are getting more and more The Black Series 3.75" wave 7 Toys R Us reports. This time our report is from the New England area. Keep in mind that this is the only retailer where, for now, you can purchase these figures for $9.99 each. Special thank to Darth Janus for the news and image. Happy 35th Anniversary To The Empire Strikes Back! The biggest surprise of 2015 is the release of what we all thought was a cancelled Star Wars basic figure line. We will be looking at the figures from the Legacy Collection  line. It's time for Clone Trooper Sergeant, a nice update to previous versions. See the way he was originally meant to arrive in our Research Droids Reviews today. Be sure to leave your own thoughts in our comments section, vote in the poll or even leave comments about it on our Facebook page. Click the banner below for the direct link to the review! As always, you can also send your own personal review requests via email if you'd like to see something that we didn't cover yet. Found! The Black Series 6" Emperor Palpatine Wave Hits USA Retail! This is somewhat surprising! JTA reader mintoncard sends us proof that The Black Series 6" Emperor Palpatine wave has been found at TARGET! Keep those eyes open and send us your reports too! The biggest surprise of 2015 is the release of what we all thought was a cancelled Star Wars basic figure line. We will be looking at the figures from the Legacy Collection  line. Check out Pablo-Jill, ithe greatest figure of 2013, in the way he was meant to arrive in our Research Droids Reviews today. Be sure to leave your own thoughts in our comments section, vote in the poll or even leave comments about it on our Facebook page. Click the banner below for the direct link to the review! As always, you can also send your own personal review requests via email if you'd like to see something that we didn't cover yet. Get the latest pre-order and new arrival information from JTA sponsor Big Bad Toy Store in this week's newsletter. While we continue to look at the Legacy Collection  figure by figure, our friends at Yakface.com have added a complete look of this ultra cool set of figures including comparison shots to the Amazon.com exclusive Droid Factory figures. See more by clicking through! We Are Giving Away Three (3) JTA Vintage Kenner Tribute Posters Right Now! Right now, we are giving THREE (3) of our highly sought-after Star Wars Celebration Anaheim posters away to the first three readers that share THIS LINK (right click, copy and paste): on 10 Star Wars related collector pages on any social media outlet and forums in which you are a member. Your post should read "Get this beautiful vintage Kenner tribute poster at JTA right now!" with the link next to or underneath of it. Send proof of your ten (10) posts to paul@jeditemplearchives.com. The first three (3) emails received with complete documentation will receive this poster. So hurry. It starts NOW! The biggest surprise of 2015 is the release of what we all thought was a cancelled Star Wars basic figure line. We will be looking at the figures from the Legacy Collection  line. Let's continue with R2-D2 which left a little to be desired in 2013. This astromech droid is the focus of our Research Droids Reviews today. Be sure to leave your own thoughts in our comments section, vote in the poll or even leave comments about it on our Facebook page. Click the banner below for the direct link to the review! As always, you can also send your own personal review requests via email if you'd like to see something that we didn't cover yet. Sponsor Announcement: NJ Toys And Collectibles - Wave 8 Singles Available! JTA sponsor NJ Toys & Collectibles has put the very hot Han Solo (Carbonite), Jawas two-pack and Mosep Bineed on single pre-order once again! Remember that if you purchase three or more figures in any of the 3.75-Inch Black Series Wave 7 and/or 8 lineup you will receive FREE SHIPPING! Simply enter coupon code JTABSW78. This code is ONLY GOOD until May 25th. TBS [P2] Wave 7 Stormtrooper (#08) IS NOT A Straight Repack! Well blow me down! To my shock, I just learned that 2015's The Black Series [Phase II] Stormtrooper is NOT a straight repack of 2013's The Black Series [Phase I] Stormtrooper (#13) figure. Besides a much better and cleaner paint job, Hasbro has also added some missing paint operations on the abdomen area (and one or two other spots as well). But the biggest change? Hasbro took the 2004 VOTC Stormtrooper portrait, slightly tooled the way it attaches to the ball-socket joint and has given this figure an all-new head sculpt. It looks SO MUCH better than the Sandtrooper head sculpt, so this was a major plus. The only remaining disappointment now is the slot in the back for a survival backpack. Why must Hasbro do these upgrades so incrementally? We think that this is now the best Stormtrooper money can buy. We will be placing orders for many more! The review to this figure will be coming shortly to our RDRs, but I thought you would like to know about this potential quantity-ordering altering news. Oh, and they changed his number from #15 to #08 to make the sequence (right now) gap free thanks to the cancelled indefinitely postponed Princess Leia Organa (Yavin Ceremony) figure. UPDATE: Legacy Collection  Set Is Back In Stock! Wow! Calendar Holdings has put up the ENTIRE wave of Legacy Collection  on their website. Use shopping code FREE15 OFFERS30 for free shipping (and 20% off) too! Special thanks to JTA reader Dan D. for the heads up! We have NO IDEA how long these will last! UPDATE 1: This set is going in and out of stock. Use OFFERS30 to get 20% off and FREE shipping too. Special thanks to all of our readers who let us know this awesome tidbit! UPDATE 2: Our friends at Yakface.com have new details surrounding the cases of Legacy Collection . UPDATE 3: It's back IN STOCK! Hurry! UPDATE 4: These are now gone. Bookmark this link. We don't have plans to post this anymore. Happy Anniversaries To Episode I and Episode III! Found! The Black Series 3.75" Wave 7 Hits Toys R Us - Still $9.99 Each! Yours truly has found the complete wave 7 of The Black Series 3.75" line at Toys R Us right outside Princeton, NJ. They rang up for a glorious $9.99 each (for now)! Let us know of your store reports too. For those of you who don't have a Toys R Us near you, our friends at Yakface.com are reporting that this same wave is showing up at TARGET. Legacy Collection  COMPLETE WAVE Available Online! Wow! Calendar Holdings has put up the ENTIRE wave of Legacy Collection  on their website. Use shopping code FREE15 for free shipping too! Special thanks to JTA reader Dan D. for the heads up! We have NO IDEA how long these will last! Apparently there are questions with some collectors not in the “know” about what differences exist between the Amazon.com Droid Factory exclusive and the Legacy Collection  basic figures being found currently at Go! Games & Toys. We have outlined what you should know in an easy and quick article. Click through for more information and comparison pictures.. The biggest surprise of 2015 is the release of what we all thought was a cancelled Star Wars basic figure line. We will be looking at as many figures from the Legacy Collection  line as possible. Let's continue with Anakin Skywalker. He is the focus of our Research Droids Reviews today. Be sure to leave your own thoughts in our comments section, vote in the poll or even leave comments about it on our Facebook page. Click the banner below for the direct link to the review! As always, you can also send your own personal review requests via email if you'd like to see something that we didn't cover yet. The biggest surprise of 2015 is the release of what we all thought was a cancelled Star Wars basic figure line. We will be looking at as many figures from the Legacy Collection  line as possible. Let's start off with Padmé Amidala. She is the focus of our Research Droids Reviews today. Be sure to leave your own thoughts in our comments section, vote in the poll or even leave comments about it on our Facebook page. Click the banner below for the direct link to the review! As always, you can also send your own personal review requests via email if you'd like to see something that we didn't cover yet. Most collectors were excited by the release of EV-9D9 in The Power Of The Force line. But now we need an update. See how the 1997 figure holds up in our Research Droids Reviews today. Be sure to leave your own thoughts in our comments section, vote in the poll or even leave comments about it on our Facebook page. Click the banner below for the direct link to the review! As always, you can also send your own personal review requests via email if you'd like to see something that we didn't cover yet. Sadly, FAO Schwarz is closing its NY City location. People.com has the full story. Found! The Black Series 3.75" Wave 7 - But Not At A Store You Might Expect! Found! Would you believe that wave 7 of The Black Series 3.75" line have been found in the USA already, but so far not Big Box. JTA reader Rozwell has found them at Value Village (Value Drugs) in Brewster NY. Yeah, we have never heard of this retail chain before either. But click through as we have provided you a list of all of your locations. Let us know of your own store reports too! We have added a few if the figures to our RDRs index from the Legacy Collection  non-Amazon exclusives wave. Check out the cool cardbacks and revisit our thoughts about these figures. Some collectors feel that 1997's POTF2 [G/FF] Emperor Palpatine figure is still the best modern replacement to the 1984 vintage Kenner figure. Do you agree? Let us know in our Research Droids Reviews today. Be sure to leave your own thoughts in our comments section, vote in the poll or even leave comments about it on our Facebook page. Click the banner below for the direct link to the review! As always, you can also send your own personal review requests via email if you'd like to see something that we didn't cover yet. We don't care for Lando Calrissian (As Skiff Guard) that much. See why in Research Droids Reviews today. Be sure to leave your own thoughts in our comments section, vote in the poll or even leave comments about it on our Facebook page. Click the banner below for the direct link to the review! As always, you can also send your own personal review requests via email if you'd like to see something that we didn't cover yet. SW Collecting Story Of The Year: "Cancelled" Legacy Collection  Hits Retail! She has an all new likeness. But how good is it? Princess Leia Organa [All New Likeness] was a very satisfying release in 1998. See how she holds up now in our Research Droids Reviews today. Be sure to leave your own thoughts in our comments section, vote in the poll or even leave comments about it on our Facebook page. Click the banner below for the direct link to the review! As always, you can also send your own personal review requests via email if you'd like to see something that we didn't cover yet. Sponsor Announcement: NJ Toys And Collectibles - Buy 3 Get 1 Free! Now through June 1, 2015 use coupon code SagaDeals at checkout to receive one free 3.75-Inch Saga Legends Action Figure when you buy 3 at NJ Toys and Collectibles! Simply add four figures to your cart!! Now is your chance to own all those Saga Legends action figures you were looking for!! No exceptions. If it's in stock, it's part of the deal so get yours today! Coupon code cannot be combined with any other offer. The controversy surrounding the lack of female action figures has yielded some passionate articles from other "Star Wars" fathers. This one has been published at Heroic Girls. While not really Star Wars related, see the travesty done to Black Widow in the Avengers line. This article is noteworthy for not only addressing the issue of the lack of female action figures, but their overall dismissal of specific female characters to the brand as well (and perhaps their perceived capability by toy makers). (This one should make anyone on either side of the argument think twice.) Special thanks to the collaborative effort of CreeBoPeep and Rocketdyke for bringing this to our attention. We just don't like Bespin Han Solo. It's just wrong on Solo many levels. See what we mean in our Research Droids Reviews today. Be sure to leave your own thoughts in our comments section, vote in the poll or even leave comments about it on our Facebook page. Click the banner below for the direct link to the review! As always, you can also send your own personal review requests via email if you'd like to see something that we didn't cover yet. Hasbro has been sending out a slick little desktop calendar to their PR contacts this week that counts down to the big September 4th The Force Awakens toy release (although the calendar actually started on May 4th). JTA received ours today. Check out the cover image below and stick to our social media outlets and we'll bring you daily updates as the countdown progresses! The recently announced Hot Toys Sandtrooper is now available for pre-order! Click through for all of the details on the Sideshow Collectibles site! Entertainment Earth Wave 8 Listing Error Or Is Our Girlfriend Back? After we broke news that Princess Leia (Ceremonial) would be removed from The Black Series wave 7 and wave 8 assortments and alluded to her POSSIBLE cancellation (and then everyone else ran to Hunter PR to confirm or deny it), Hasbro indeed confirmed that Princess Leia (Ceremonial), while not cancelled, would be coming in a future assortment in the fall during The Force Awakens launch (not in waves 7 or 8). But now there is a new development which changes this a bit more. Perhaps Entertainment Earth didn't get the memo, but they just put up wave 8 and the case assortment once again shows Princess Leia (Ceremonial). Did Hasbro get those soft-goods in order in time for this transitional case assortment? Is it a mistake? Only time will tell. We have our spies hot on the tails of this potentially good news. Stay tuned! UPDATE: It looks like this is meant to be Leia Boushh. TBS6 Wampa And Luke Skywalker Singles Available For Order And More! More single The Black Series Wampa and Luke andHan Solo and Tauntain available for order at Dorkside Toys! Hot Toys sends full details about the recently revealed Sandtrooper. Click through for the full gallery and specs! The Snowtrooper action figure was an exciting release. And people bought it like there was no tomorrow. See how it holds up today in our Research Droids Reviews today. Be sure to leave your own thoughts in our comments section, vote in the poll or even leave comments about it on our Facebook page. Click the banner below for the direct link to the review! As always, you can also send your own personal review requests via email if you'd like to see something that we didn't cover yet. We suppose only Hollywood has the right to complain about what Star Wars products you can find on the shelves. Check out what Colin Hanks, son of Tom Hanks, tweeted over the frustration of not finding any viable Star Wars female action figures on the shelves for his daughter who just became a new Star Wars fan. Huffington Post has the full story. Special thanks to JTA reader Jub Goobles for bringing our attention to this article. Our friends at Rebelscum have received another leaked The Force Awakens product list, although many of the list's details create more questions than answers. Of particulare note, there is a listing for an Episode VII Millennium Falcon for 119.99 (English pounds) which isn't a good thing at all. There are also three vehicle class sizes returning and they all look expensive. But the biggest surprise is an Episode IV four-pack for 99.99 (English pounds). Check it out. We have a sneak peek for you today of The Black Series wave 8 Commander Thorn and Jawas. We're not adding them to the RDRs right now because we don't have the whole wave and the Jawas are incomplete. Again, these are samples from eBay seller viperskingdom. In short, Commander Thorn is very nice. The deco is great and the articulation is all there. However, we are more impressed with the Jawas. We have new definitive Jawas (take your pick on which one). The sculpts are excellent and the details are pure perfection. (They just need a dirty final wash.) Both are missing the smaller silver guns, but both have the ionization blasters. Although separately sculpted parts, the bandoliers are glued to both Jawas and are not removable. Both Jawas have no articulation below the swivel waists. The Black Series 3.75" Line May Hang On A Little Longer? So we have heard another rumor. In fact every new rumor seems to equally support as well as contradict previously leaked rumors. How is that for a paradox? The most recent rumor is something like this. Wave 8 of The Black Series 3.75" line may not be the last. We have heard this from three independent sources now. If you recall, Hasbro clearly stated that Princess Leia (Ceremonial) would eventually be coming out even though she had been cancelled from wave 7 and then carried forward into wave 8 (also cancelled from that assortment). But now a possibility exists that we may indeed see more TBS 3.75" before the line is terminated (or transitioned rather) into the new line look. Also, remember the last Walmart plan-o-gram we posted that removed TBS 3.75" from the aisle? Well, JTA moderator Sjefke sends us an image of a new mod (effective 05/11/15) that has just been added to his local store. It shows four spots for 3.75" The Black Series figures. This may give that rumor some clout, that there may be enough figures on shelves to warrant this space. (It is strange however that there are spaces for Command and Saga Legends though. This rumor report really stands on its own without any visual proof however. But as with any rumor, keep it in check until Hasbro says so. But I bet we hear a lot more about this at SDCC this year. The Garindan [Long Snoot] action figure was another long-awaited release. But he is very limited in what he offers. See more in our Research Droids Reviews today. Be sure to leave your own thoughts in our comments section, vote in the poll or even leave comments about it on our Facebook page. Click the banner below for the direct link to the review! As always, you can also send your own personal review requests via email if you'd like to see something that we didn't cover yet. He was never before offered in any Kenner collection until 1997. See the first instance of Grand Moff Tarkin in the Kenner/Hasbro basic figure line in our Research Droids Reviews today. Be sure to leave your own thoughts in our comments section, vote in the poll or even leave comments about it on our Facebook page. Click the banner below for the direct link to the review! As always, you can also send your own personal review requests via email if you'd like to see something that we didn't cover yet. Jedi Temple Archives wishes our beloved readers who are mothers a very Happy Mother's Day! We honor all who have brought life into this world. If you have a mother with us here on Earth or your mother has become one with the Force, take a moment to let her know how much she has meant to you in your life. The 1997 Luke Skywalker (In Hoth Gear) was ultimately a disappointment. Thankfully, it was only one of the few stumbling blocks to the many superior versions that came since. Learn more in our Research Droids Reviews today. Be sure to leave your own thoughts in our comments section, vote in the poll or even leave comments about it on our Facebook page. Click the banner below for the direct link to the review! As always, you can also send your own personal review requests via email if you'd like to see something that we didn't cover yet. JTA Facebook reader Sargento P. sends us a pretty (likely one-off) funny error of the Han Solo [Bespin] figure with an unpainted shirt. Check it out! Found! The Black Series Wave 3.75" Wave 7 Hits The Philippines! Found! The Black Series 3.75" wave 7 has been found in the Philippines! This means that they are only around the corner from the USA! Special thanks to Facebook reader Jaeger Trooper for the image! In 1998, Hasbro released two Ugnaughts for the price of one. These figures don't hold up that well today, but they still have some charm left in them. See what we mean in our Research Droids Reviews today. Be sure to leave your own thoughts in our comments section, vote in the poll or even leave comments about it on our Facebook page. Click the banner below for the direct link to the review! As always, you can also send your own personal review requests via email if you'd like to see something that we didn't cover yet. We have been wondering if those that are giving glorious praise to the Han Solo And Tauntaun The Black Series [Phase II] 6" Deluxe set are being paid by Hasbro. We have NEVER been so let down by a Hasbro item as we have by this set. (Meaning we had our hopes set high so this set but then they were immediately crushed.) Find out why we've had enough of this scale until Hasbro starts providing better quality products for us in this scale. It's time to stop squeezing budget quality products through the facade of a collectors' line. As Luke Skywalker would say, "what a piece of junk"! See our frustration and more in our Research Droids Reviews today. Be sure to leave your own thoughts in our comments section, vote in the poll or even leave comments about it on our Facebook page. Click the banner below for the direct link to the review! As always, you can also send your own personal review requests via email if you'd like to see something that we didn't cover yet. We need to clean out our warehouse to make room for all the great products coming in! Prices have been reduced on over 3000 items with a total of 4800 items on sale! Check out the featured sale items from Transformers, GI Joe 50th Anniversary, and Batman 75th Anniversary, The Walking Dead, DC Comics, NECA, Figuarts and more! SIDESHOW AND HOT TOYS SALE! This list contains over 80 Sideshow and Hot Toys items now priced under MSRP! Find everything from Monsters Inc and Pirates of the Caribbean Cosbabies, to 1/6 scale figures and busts, to 1/4 scale Premium Format figures. Amp up your collection today! Watch StarWars.com interview Hasbro where you can hear Hasbro say things like "The Black Series line is performing extremely well" and then show unmitigated praise for the upcoming Furbacca on You Tube! The Black Series [Phase II] Jon "Dutch" Vander (Gold Squadron Rebel Pilot) is nice to see updated as best as we're going to see him, but we're not so hot for his head sculpt. Sadly, the 2004 Star Wars "Saga" figure looks more like the actor than this one does. But not all is lost. See comparison pictures and more in our Research Droids Reviews today. Be sure to leave your own thoughts in our comments section, vote in the poll or even leave comments about it on our Facebook page. Click the banner below for the direct link to the review! As always, you can also send your own personal review requests via email if you'd like to see something that we didn't cover yet. We finally have our Commander Jorg Sacul (Rebel Pilot) gallery ready. Click through to see the MIA gallery or check out the review HERE in its entirety. Do You Want The SWCA JTA Vintage Kenner Poster? Get On Our List Then! Don't buy our Celebration Anaheim exclusive vintage Kenner poster on eBay for $357.36. Let us hear from you via email so we can cull together a list of people who want to purchase one for a mere $24.99 instead. But in order to make this happen we need to hear from you! Email us at news@jeditemplearchives.com. We need a minimum to reprint it (it will be a second edition run), so speakup or forever pay eBay prices! This is just us, but wouldn't you type jeditemplearchives.com before eBay.com in your browser to look for this poster? Some people just don't look before they leap! No one probably expected a modern Orrimaarko (Prune Face) figure in 1998, but that's what we got. It was a great effort but had a couple of issues. Plus, we bet that most of you don't know that he had MULTIPLE appearances in Return Of The Jedi. Learn more in our Research Droids Reviews today. Be sure to leave your own thoughts in our comments section, vote in the poll or even leave comments about it on our Facebook page. Click the banner below for the direct link to the review! As always, you can also send your own personal review requests via email if you'd like to see something that we didn't cover yet. 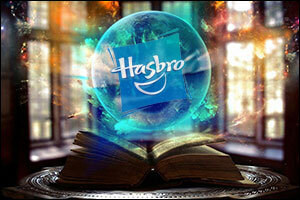 What May the 4th holiday would be complete without a Hasbro rumor report? We have consulted the crystal ball once again and have learned some juicy tidbits for the future. The crystal ball has advised that not all that has been revealed here means that you will see it on September 4, 2015. To further confuse things, not all of this prognostication applies to The Force Awakens product either. The crystal warns that you will need to digest each bit of information individually and be careful not to lump it together with another thought or reveal. The crystal ball cannot see all details that clearly and warns us of misusing its power. No, what it should show you is that things, both good and bad, are possibly on the horizon from Hasbro. Let’s consult the crystal ball and see what we’ve managed to cull from its all-knowing power. Click through if you dare! Brian's Toys Celebrates Star Wars Day with 10% off! The force is strong with you on this day, and your patience will be tested for the next 227 days until the Episode VIII premiere. Let us ease your plight with 10% OFF storewide at www.brianstoys.com, where you can shop for hundreds of great Star Wars collectibles. Simply apply the promo code MAY4TH to your shopping cart to see the savings reflected immediately! Don't hesistate, for this promotion only lasts until May 18th. Due to some technical issues, we are unable to provide a gallery for our Commander Jorg Sacul (Rebel Pilot) figure today. We will post an update when it is ready. In the meantime, please check out the perfect figure to celebrate May the 4th this year! It's all in our Research Droids Reviews today. Be sure to leave your own thoughts in our comments section, vote in the poll or even leave comments about it on our Facebook page. Click the banner below for the direct link to the review! As always, you can also send your own personal review requests via email if you'd like to see something that we didn't cover yet. Sideshow Collectibles R5-D4 Up For Pre-order! The Sideshow Collectibles Sixth Scale R5-D4 is up for pre-order! LEGO Announces Complex Darth Vader Mini Figure! With special thanks to GalacticHunter.com for bringing this article to our attention, we highly suggest that you check out an interview with Derryl DePriest, VP of Global Brand Management, hosted by The Joe Report. While the Star Wars brand is barely referenced at all, there is enough information here to help put things into better perspective about our beloved Star Wars line. This is just our conjecture, but it may be as simple as replacing "GI JOE 12-inch line" with "Star Wars 3.75" super-articulated line" while reading it. (We hope not.) There is no doubt the climate and culture has changed, but we still find it egregious how shareholders dictate and play such a pivotal role in the degradation of the toys we want to see produced. Before we prosthelytize any further, please click through for more. Hasbro Toy Shop is running a May the 4th sale. Use coupon code MAY4 to receive free shipping on your order. May The 4th Be With You.... Always! JTA wishes all of our readers, supporters, sponsors, affiliates, colleagues and friends a very, very happy May The Fourth. This is going to be a great year! Thank you for traveling it along with us! Star Wars once again graces the cover of Vanity Fair. Click through for all of the details on the next issue, featuring Star Wars: The Force Awakens! It's Official! September 4, 2015 Release Date + Packaging Art Revealed! StarWars.com reveals The Force Awakens packaging art and the official release date September 4, 2015! Click through for full details! Sponsor Announcement: NJ Toys And Collectibles - TBS Waves 7 and 8! Kohls.com Has Sabine Wren/Stormtrooper Mission Series Set In Stock! Are you still looking for the Sabine Wren/Stormtrooper Mission Series set? We are constantly getting new store reports, but now you can also get her online. Special thanks to all of our readers who snet in this news. Sponsor Announcement: Dorkside Toys - TBS Wave 8 Pre-order Live! Wave 8 is finally live and available for pre-order! Check out what you can get your grubby hands on with JTA sponsor Dorskside Toys. Click through for more! How cool was it that Hasbro knew that some of the core main characters that were first produced in 1995 needed to be revisited ASAP? R2-D2 [With New Features] was testament to this realization. See how they improved this droid in our Research Droids Reviews today. Be sure to leave your own thoughts in our comments section, vote in the poll or even leave comments about it on our Facebook page. Click the banner below for the direct link to the review! As always, you can also send your own personal review requests via email if you'd like to see something that we didn't cover yet. At the moment we can't provide you with any proof, but we are hearing whispers of a Toys R Us Buy One Get One 40% off sale beginning tomorrow (for Star Wars merchandise). As we learn more information on it we will post updates. But we thought you may want to be alerted to this potential sale. UPDATE: JTA readers Jeff S. and Candace S. have drawn our attention to the Toys R Us PRESS RELEASE (that we totally missed – don't know how) which reveals this sale. Thanks to those that wrote in to let us know! This week at Brian's Toys, check out the pre-order for a Darth Vader car decal from FanWraps. Part of their new "Passenger Series" this decal sold out fast at the Celebration 7 convention in Anaheim. Also new this week, tons of Vintage AFA collectibles have been added to their eBay Store. To see the great selection, visit this week's newsletter. Not many people are aware that the 1997 POTF2 Dengar action figure was actually based on the character's appearance from Episode VI and not Episode V. But evidence exists that he is based on both films, depending on your point of view. Learn more in our Research Droids Reviews today. Be sure to leave your own thoughts in our comments section, vote in the poll or even leave comments about it on our Facebook page. Click the banner below for the direct link to the review! As always, you can also send your own personal review requests via email if you'd like to see something that we didn't cover yet. ThinkGeek Celebrates Star Wars Day With Weekend-long Sale! ThinkGeek.com's May the 4th Star Wars promotions start today and run through May 4th! Click through to check out their Star Wars Store. JTA Sponsor Dorkside Toys Announces Exclusive POP! Vinyl R2-L3! Fancy-pants JTA sponsor Dorkside Toys eagerly announces their own EXCLUSIVE POP! Vinyl R2-L3 figure. How amazing is this? Great choice, gentleman. Click through for details! GameStop has big plans For May the 4th! Click through for the full press release detailing their exclusives, the Battlefront pre-order, and more!